Coaches, and Parents please read the attached document. 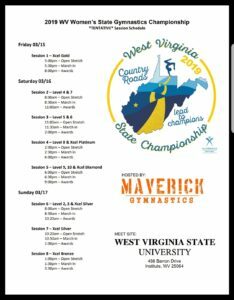 It provides the breakdown of Xcel Silver, to inform you of what session the gymnasts will be in on Sunday, March 17th at the WV State Meet. Congratulations to Konner McClain from Revolution Gymnastics! 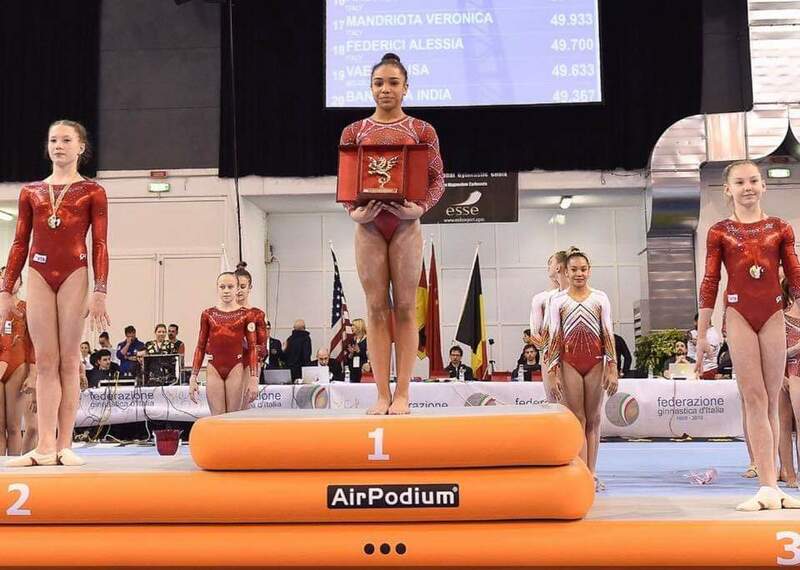 Konner won the All Around in the Junior Division in Jeselo Italy. Applications and supporting documents should be send to Linda Johnson, RJOCC (address included in application) on or before April 15, 2019. Below are hotels in the area of this year’s state meet. *There are no blocks made at these hotels. Please remember state meet declarations are due today, February 15th! 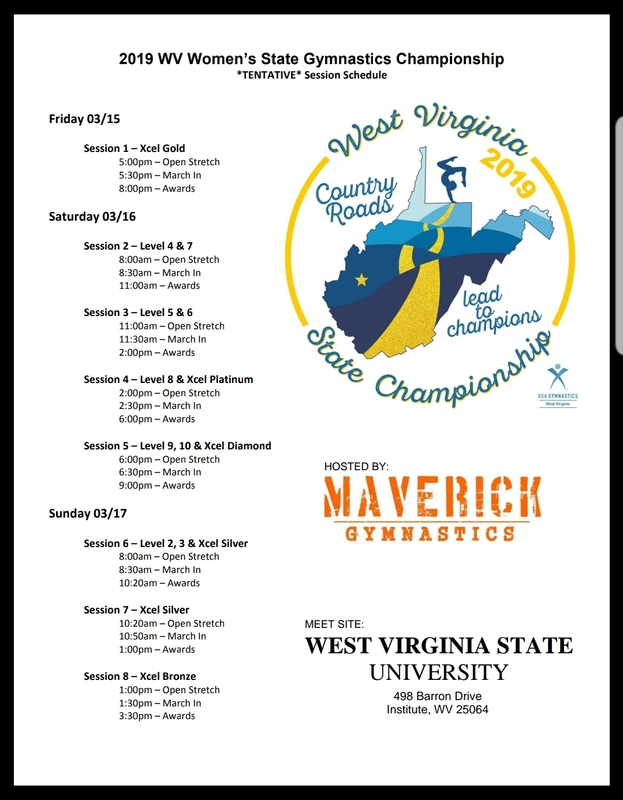 This year the West Virginia State Meet will be hosted by Maverick Gymnastics. The meet will be held at West Virginia State University located on Barron Drive, Institute, WV 25064. It will be the weekend of March 15 – 17. Please keep checking back for more details as they come in. You can now bid to host the 2019 WV State Meet. Please use the provided link to fill any necessary information. Please have all bids in by December 15, 2018.